Laptops that are powerful enough to easily take the place of a desktop PC also tend to be the most expensive. The Dell Inspiron 15 7000 shows that this doesn’t have to be the case. 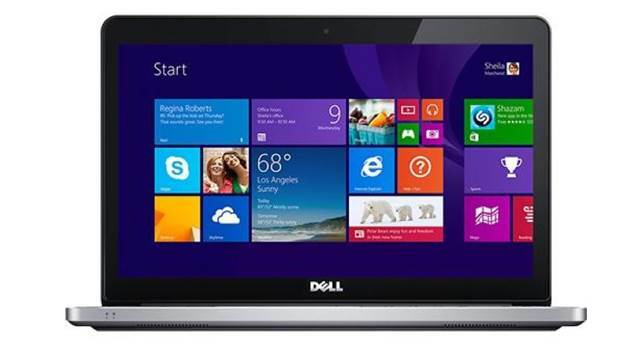 Dell has packed a lot of powerful components into an attractive laptop at a very reasonable price. The Dell Inspiron 15 7000 looks classy and feels very robust as it’s mostly made from metal, with the exception of the plastic underside. During our tests, it never became unbearably hot when used on our lap, but it was uncomfortable to use in another way. The bottom edge of the screen and the chunky hinge dug painfully into our thighs and knees. The Dell Inspiron 15 7000 looks classy and feels very robust as it’s mostly made from metal, with the exception of the plastic underside. The metal design and large 15in screen all contribute to this laptop’s hefty weight of 2.6kg, which increases to 2.8kg with the charger. This means you’re more likely to use it around the house rather than out and about. Despite this, battery life was lengthy at 10 hours and 21 minutes in our light-usage test. The 7000 owes its long battery life – at least in part – to its clever graphics chips. A powerful Nvidia GeForce GT750M dedicated graphics chip is used for demanding tasks, such as editing photos and videos or playing games. But when you’re using the laptop for less intensive tasks – such as web browsing – the laptop automatically switches to the less powerful, but more energy-efficient, Intel integrated graphics chip. Even though Dell has squeezed in a number pad alongside the keyboard, the keys are still large enough. The equally efficient processor – the dual-core Intel Core i7 4500U – helps too. Paired with 8GB of memory it’s so powerful that the 7000 is more than capable enough for use as your main computer. Although it’s theoretically possible to add more memory and replace the 1TB hard drive yourself, we found doing so very tricky. Even though Dell has squeezed in a number pad alongside the keyboard, the keys are still large enough. They have plenty of travel and feedback too, so typing is comfortable, fast and accurate. The touchpad didn’t track our finger prods and swipes as accurately, but it’s still usable. The 15in screen has a high resolution of 1920x1080 pixels, so text is sharp and there’s enough room for working on two documents side by side. It is very bright, although some colours look a little washed out. 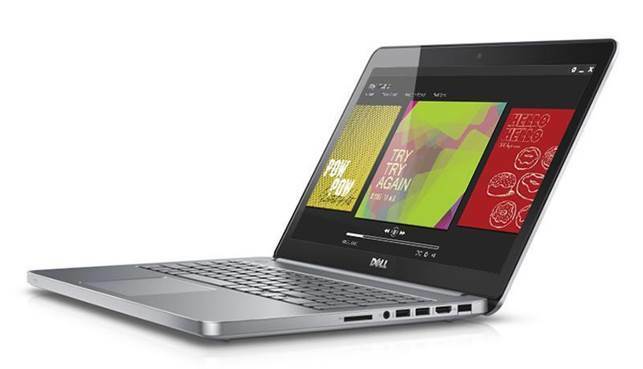 Despite a few flaws design, overall the Dell Inspiron 15 7000 is a great laptop – powerful, well-equipped and attractive without costing the earth. It’s not quite as good as the Chillblast Defiant Mini though (see our review, Issue 418) which is even faster, although this laptop costs a little more and has a shorter battery life. The 15in screen has a high resolution of 1920x1080 pixels.